Every once in a while – more so lately than ever – Ferrari goes about building some ridiculous race-going variant of one of their road-going models. They aren’t street legal but they look like they could be. They build the cars, sell them, and offer track days to go with ownership. This car is eligible for Ferrari track events all over the world. 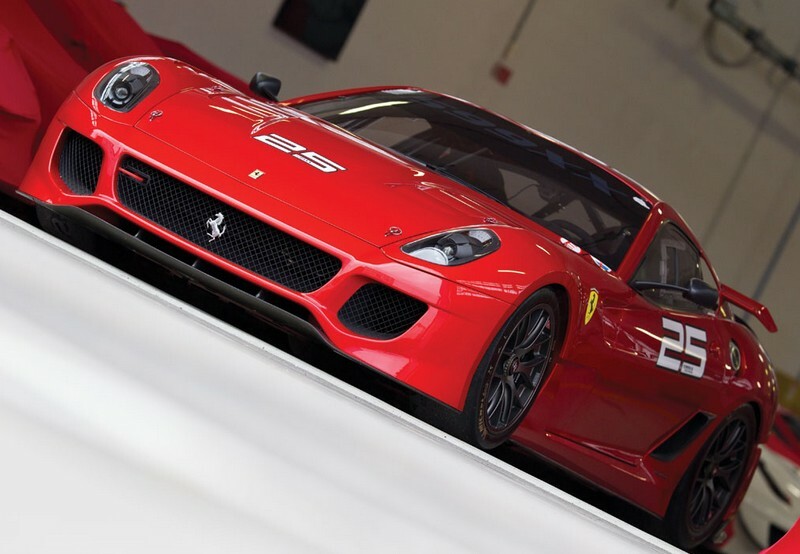 The 599XX is the balls-to-the-wall track variant of the 599 GTB Fiorano. This version was produced for 2009 and 2010 while the Fiorano was built from 2006 through 2012. In 2011 Ferrari would up the stakes even more by offering an “Evolution” package for the 599XX. But let’s stick with what we’ve got. And what we’ve got is the 6.0-liter V-12 with horsepower upped to 720. Ferrari threw everything they had at this car to make it faster around the track. It was faster around the Nürburgring than the Enzo and faster around Ferrari’s test track than super-Enzo: the FXX. It was about as fast as Ferrari’s Formula One lap record at the Nürburgring from the 1970s. This car is eligible for the Evo upgrade and is a one owner car that has seen a track only once. In fact, it has been stored at the Maranello factory its entire life. It is one of only 29 built and it’s basically brand new. The brand new price for a 599XX in 2010? $1,500,000. The pre-sale estimate? $1,000,000-$1,400,000. Click here for more info and here for more from RM in Italy. This entry was posted in Uncategorized and tagged 2010, 599xx, auctions, cars, ferrari, race cars, rm auctions, supercars by classiccarweekly. Bookmark the permalink.